Want to experience life in the Australian Outback? 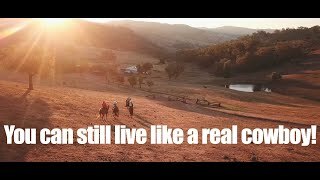 Tim Skerrett invites you to Leconfield five day Jackaroo and Jillaroo School where he will teach you the skills you need to work on an Australian farm. 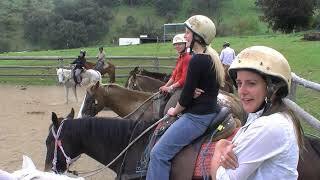 Enjoy five days of horseback riding, calf wrestling, lassoing, whip cracking and more, like a real cowboy or cowgirl. Be introduced to the art of Natural Horsemanship, a method of horse training popularised by the movie 'The Horse Whisperer'. Leconfield is the longest running Jackaroo-Jillaroo School in Australia. Whether you have been riding for years or are just a beginner come and join their family for action, laughs and memories for a life time.